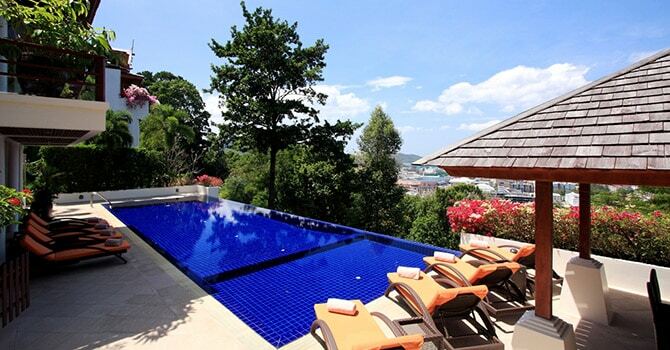 Luxury 10 Bedroom Ocean View Hillside Villa with rooftop pool and stunning views on the West coast of tropical Phuket. This luxury 6 bedroom island villa features a private pool and elegant design just minutes from the beautiful beach in tropical Phuket. Located on a scenic hillside soaring above the town of Bang Tao. Each of its seven private bedrooms features wall-to-wall windows and en-suite bathrooms. 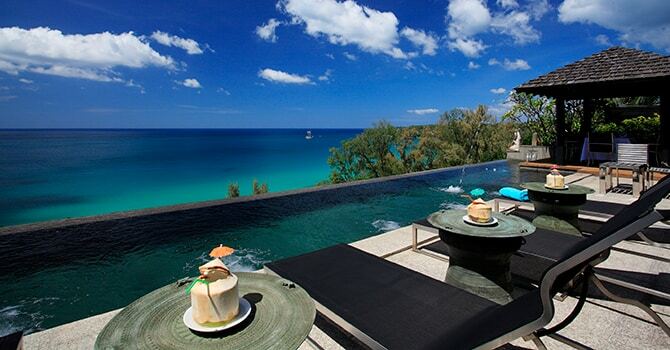 Phuket lends itself to large group villa holidays. It is the natural choice in Asia for such travel. Reason being is it such a large island itself and there are so many things to do here. There are countless beaches and bays to visit and so many different types of excursions. A bit of advice first, there are many type of villa sizes available. Also many villas have functional rooms for children with up to 6 beds in one bedroom. So take note of the number of guests and children accommodated in the villa. 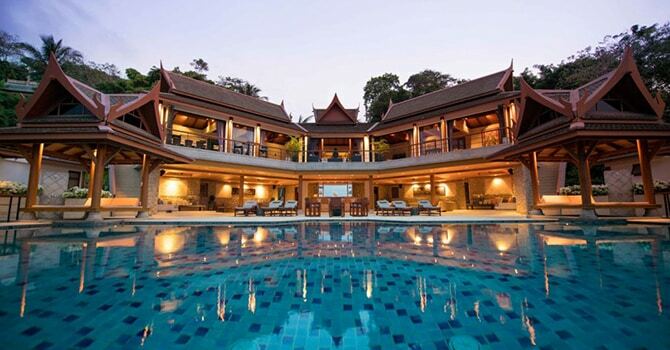 Many groups find they can stay in a 5,6,7 bedroom villa in Phuket. It can even be possible that a Phuket 2,3,4 bedroom villa with great use of space can accommodate a group. A large group needs good organization and adequate spaces, indoors and outdoors. It could even be that you are organising your Phuket Villa Wedding and require planning and support for your celebration. We can help you choose the right location, between here and a Koh Samui villa wedding. We specialise in providing the concierge service to provide you exactly what you need. 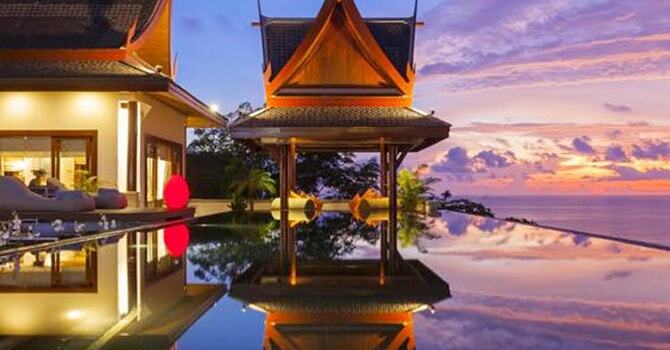 Firstly we will find you the right Phuket villa or villas to accommodate your large group. We have very large villas and represent many villas beside each other, either villas on the beach in Phuket or ocean view villas in the hills above, combining to provide a capacity to cater for any large group size. And all members of your group get the exclusive use of all the facilities of the different villas, from fitness, games and cinema rooms to outdoor cabanas and pool decks. And of course if you are renting more than one villa don’t forget that each villa comes with its very own staff and full-time chef so you will be spoilt for choice of where to hold that barbecue or what area to socialize in. Some of the large group villas even have wine cellars, bowling alleys, private night clubs, multiple swimming pools, private spa rooms and different relaxing areas inside and out so that your group can break up and enjoy themselves in different areas.